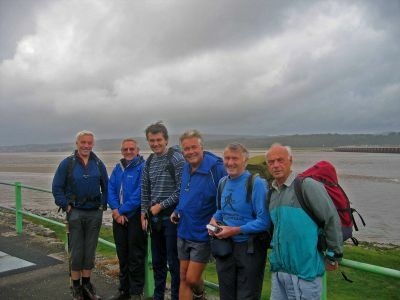 Six of us left Penrith on the Friday morning to journey down the M6 by minibus in time to leave Arnside at the civilised time of 10am. The first day of our first ever "Away Weekend" was one of heavy showers though we managed to shelter from most of the heavy rain. 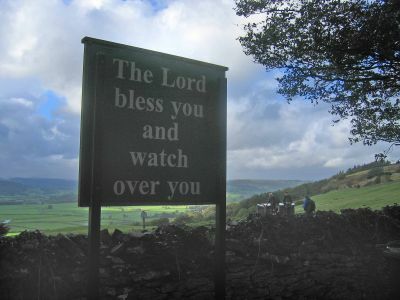 The walking was easy and interesting visiting Levens Park, Sizergh Castle and lonely Helsington Church under Scout Scar. We then descended into the Lyth Valley via Brigsteer and Crosthwaite reaching the Lyth Valley Hotel by 5pm after a relaxing day of 16 miles. Suitably fed and watered we left the next morning at 9 sharp with the prospect of a longer and tougher day of 22 miles before reaching the night’s resting place – The Farmers Arms at Lowick. Crossing the grain of the land we surmounted first Whitbarrow Scar then Hampsfell after a fight with the feisty flanks of Newton Fell – Wainwright Outliers all. The day was fresh, cool and breezy and the fell walking superb on these relatively low and lonely hills – no pushovers here. 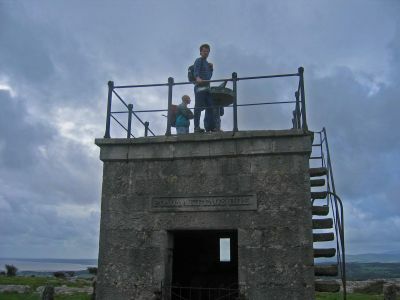 We became acquainted with unfamiliar villages (Cartmell & Greenodd) and valleys (Winster & Crake) with expansive sea and estuary views before reaching our destination after 6pm with daylight leaking away. Sunday remained fine as we bade farewell to our two visitors and welcomed Rosemary for the day. 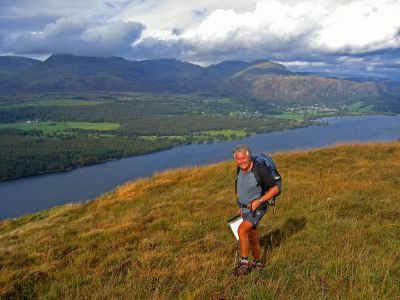 We enjoyed a fine traverse high above Coniston Water climbing to Top o’Selside (another Outlier) before dropping into Coniston for ice creams. Any rest was short lived as the Walna Scar Pass awaited, lifting us to over 2000ft. – the high point of the walk. An easy descent took us rapidly into beautiful Dunnerdale and our B & B in Seathwaite, conveniently next door to the friendly Newfield Inn, some 8 hours and 19 miles after starting. Heavy overnight rain fortuitously cleared as an excellent breakfast was enjoyed and your indomitable Committee of four set out in sunshine on the final leg of 17 miles. 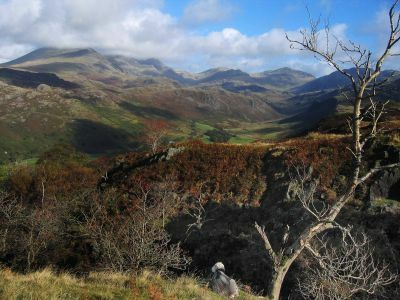 What a day it was as we climbed above the Duddon before meandering down into wonderful Eskdale. 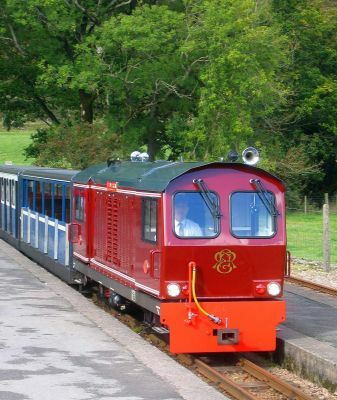 Lunch was taken at Dalegarth station in the company of La’al Ratty before another dose of the addictive River Esk. Leaving it was a wrench but the pain was eased by a superlative climb onto Muncaster Fell (yet another Outlier!) – the views from the top were something else. Eventually we dragged ourselves on to enjoy Muncaster Castle before predictably getting lost and walking in circles in the last mile. The beach and railway were eventually found at Ravenglass and the 17.56 whisked us back to Carlisle and civilisation. 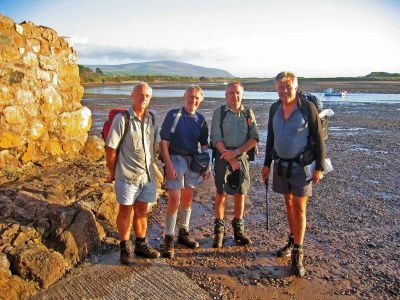 Statistics show that the Furness Way is 75 miles long – it took us 32.5 hours to walk at an average speed of 2.3 mph climbing some 4000 metres along the way. Statistics do not show the fun, good companionship and wonderful scenery we enjoyed.